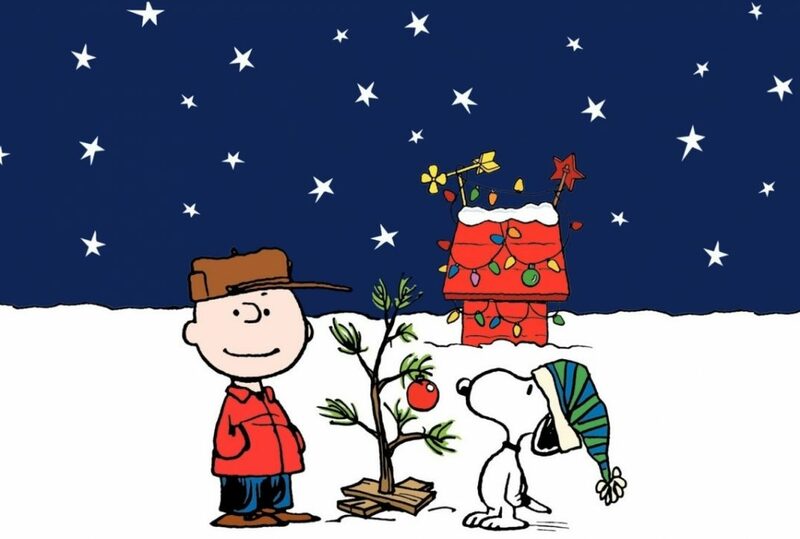 For day 6 of our 12 Days of Christmas, we’ll be looking at A Charlie Brown Christmas (1965). Now I know this is not technically a movie but in my household we can not go a holiday season without this gracing our screens! As Charles gets the feels about “Miracle on 34th Street”, I too get all the feels when this film comes to mind. The ever-down-trotten Charlie Brown is searching for the meaning of Christmas through all the commercialism and production that surrounds him. His best “frenemy” Lucy suggests he direct the Christmas play. Through all his efforts and his affection for a whimpy Christmas tree he still never finds the meaning of “Christmas” until Linus steers them on the correct road to understanding. On the original air date, this adaptation of Charles Schultz popular comic strip found many road blocks in its production. The story behind that almost over shadows the film itself! One of the largest hurdles though was Charles Schultz’s stubbornness to make a standard cartoon but instead focus his effort on what he saw as a force that was demeaning the spirit of the holiday: commercialization. I despise the commercialization of Christmas. Jingle bells popping up as Jack-o-lanterns are coming down sickens me! Black Friday dictates when we should bring peace on Earth and good will toward men. This little film is in my corner in that fight. A good 3/4 of the film follows the pattern most Peanuts animated stories do; 60 second jokes that you can imagine are lifted straight from the daily four panel comic strip with an over-arching plot line following our glum hero Charlie. All these scenes focus on how disgusted and confused he is on the purpose of Christmas. Is it just a “racket cooked up by an Eastern syndicate”? The story takes a turn though when Charlie Brown and Linus are set out to find a tree, which of course Charlie Brown gets the “Charlie Brown-iest” of all trees. In his dismay he cries out “Doesn’t anybody know the true meaning of Christmas? !” Linus answers with a Bible verse and that scene hugs my heart every time. At this point many people think Charlie Brown has been given the resolution to the problem in the plot. Although this would be the climax of the story, the true resolution comes in the last few seconds of the movie. Now bear with me as I psycho-analyze a 50 year old children’s program! Linus sets the resolution on the right path but neither Charlie Brown or the gang still understand Christmas. In his speech Linus talks about the Christian understanding of Christmas. Essentially he is saying Christmas is about something bigger than an individual’s needs or wants. This applies to all holidays in this season: Chanukah, Christmas, Solstice, or any non-descript Holiday tradition/celebration. The holidays are about stopping selfish thought and joining in a community whether that is family, friends, faith group or just another human being. So the true resolution is here: Charlie Brown has abandoned his tree. The gang gathers around it and together decorate it (by waving hands – if only it were that easy I wouldn’t climb a ladder in the freezing cold). Together they agree it’s not a bad tree after all. Then they begin humming together. Notice the optimal word there: TOGETHER. Up to this point every character has had their own agenda, played their part in the play their own way, misunderstood each other and even danced different dances. Side note: my favorite is the kid who just shrugs his shoulders. This is the first time they have done something in harmony. I love that there are no musical singing numbers before this scene which in modern day you would probably see in most children’s Christmas movies. This emphasizes the fact this is the first time they have been together. What can we learn from the Peanuts gang now 50 years later. The true meaning of Christmas is about stopping to think that there is something bigger than you and we are all part of it TOGETHER. This is an important message as we wave an exhausted good bye to to 2016. Christmas is about stopping all rushing about if just for one day to decorate a tree, sing a chorus of “ooo oooo ooo “, and wish somebody who 364 days of the year you think is “just the worst”! Merry Christmas Donald Trump. Merry Christmas Hillary Clinton. Merry Christmas corporate executive. Merry Christmas welfare squatter. Merry Christmas alt-right nationalist. Merry Christmas liberal media. Merry Christmas Charlie Brown.